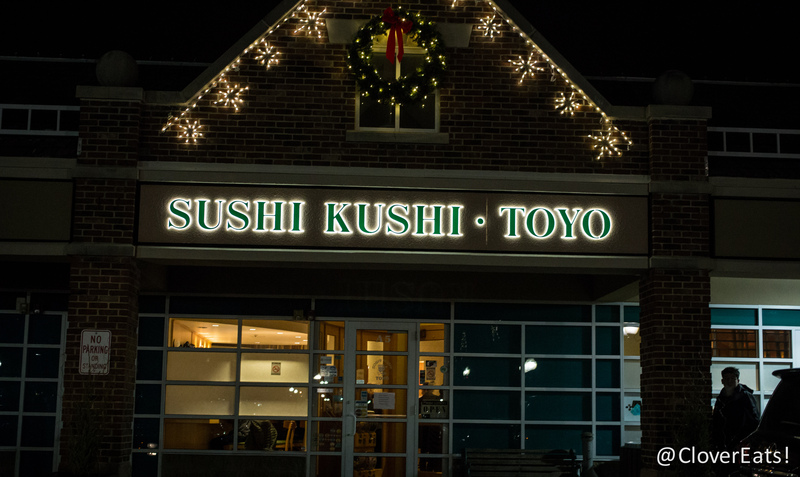 CloverEats: Sushi Kushi Toyo in Lake Forest | Clover Eats! 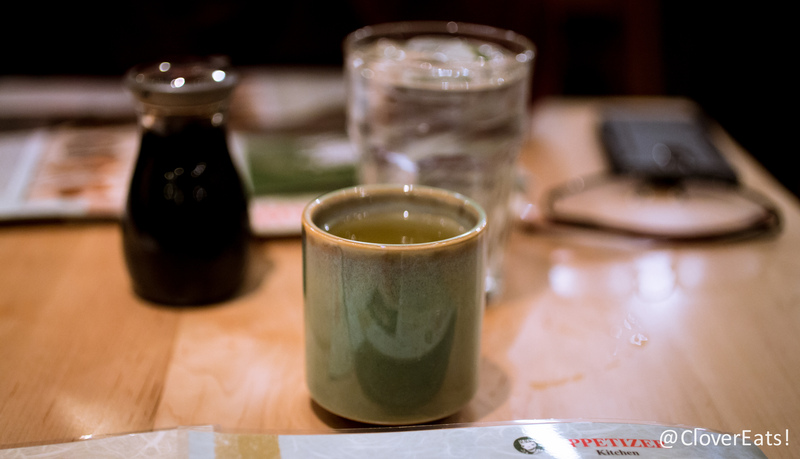 I believe there are several Sushi Kushi restaurants in the North Shore area. We got here only a little bit after opening and it was already pretty full. The restaurant actually has a really nice feel to it, with lots of light colored wood and paper barriers giving you the feel of personal space. The restaurant soon became completely packed, and so at times our waitress was literally running around trying to get everyone’s orders. I assume it’s much less busy during the lunch hour on a non-holiday week, which is nice because like all sushi restaurants, they have some good lunch specials. 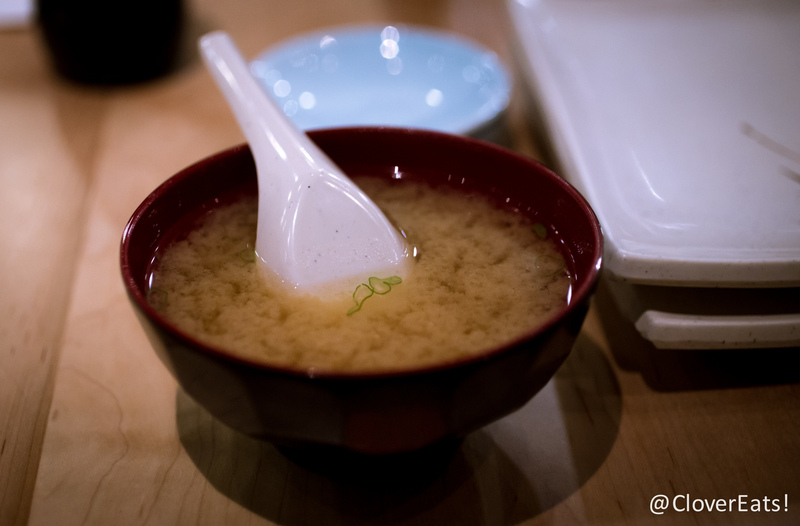 I started off the meal with some miso soup, which seemed to settle faster than miso soup I’ve had at other places. It still tasted the same though. 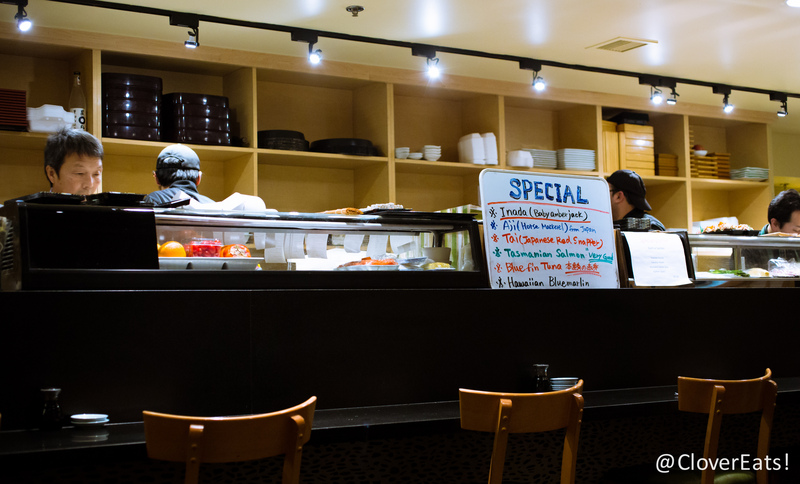 They actually offered a wide range of non-sushi dishes, and my mother raves about their yakiudon tofu dish. Their karaage chicken was okay, nothing special. 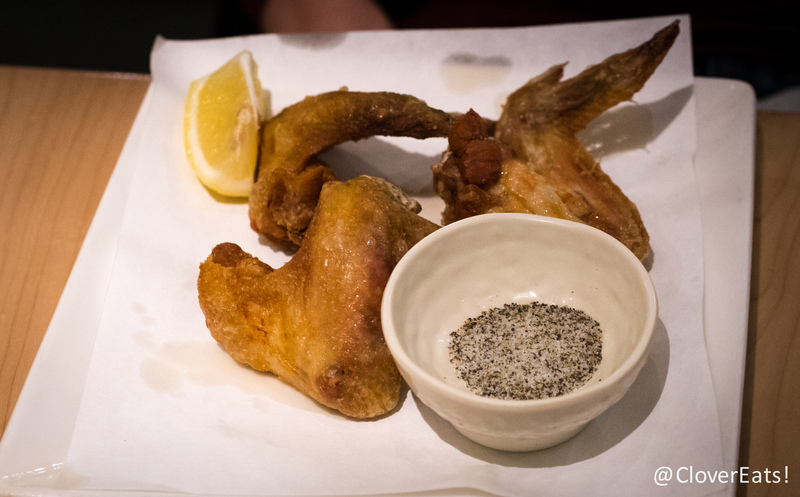 I always test a sushi restaurant out by getting the bare bone basics – sake don. 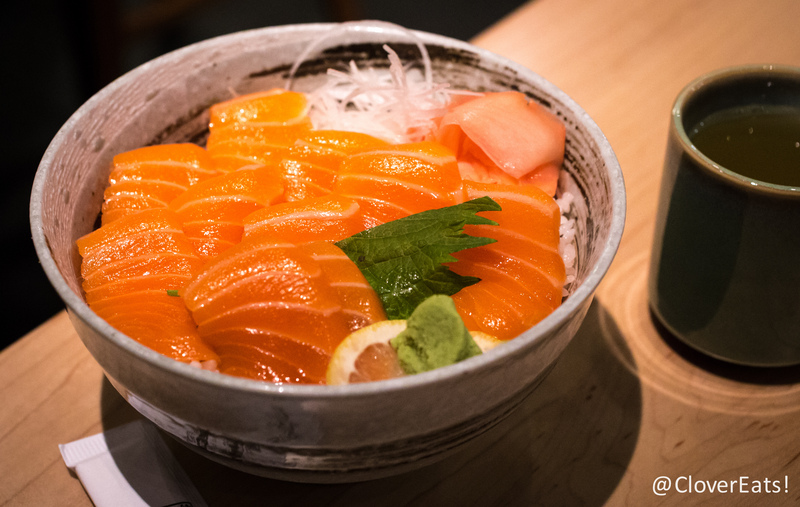 Here, the salmon was nice and bright orange, gleaming generous slices that looked and tasted fantastic. I was really surprised by the quality of this salmon, it definitely tops the taste and texture of sushi I’ve had at other midwest locations. Sometimes sushi can feel strange when it’s even slightly old, and I think, “why am I putting raw fish into my mouth?” But when it’s delicious like it was here, sushi is nothing less than a fantastic invention. The spider roll was pretty tasty, but nothing super special. Rolls, which sometimes can be fun, take away from the fuller experience of the actual fish. Classic rolls are nice if you’re hungry, the rice can be really filling. However, I find that special rolls are often too messy, with many different ingredients that just lead to confusion. 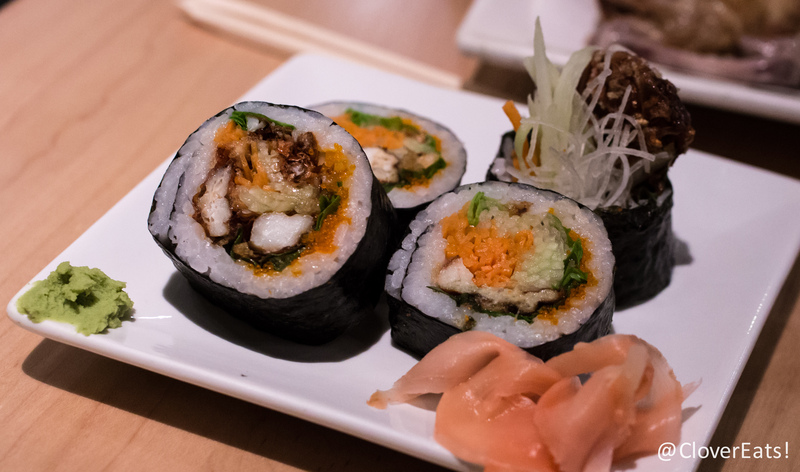 Overall, Sushi Kushi Toyo offered surprisingly good fish in the middle of Lake Forest. Check them out on Yelp or at their official website!